Over 50,000 office supplies and products in stock for fast delivery. New and pre-owned office furniture, space planning and design! These Clearance Items Move Quickly! New and Pre-Owned Furniture for just pennies on the dollar! 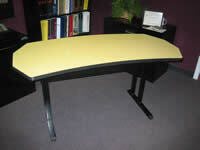 Here are some of the great deals we have in Clearance Center Tables. Click on any image below to see a larger picture, then call us toll-free at 1-877-981-6950 for pricing and availability. 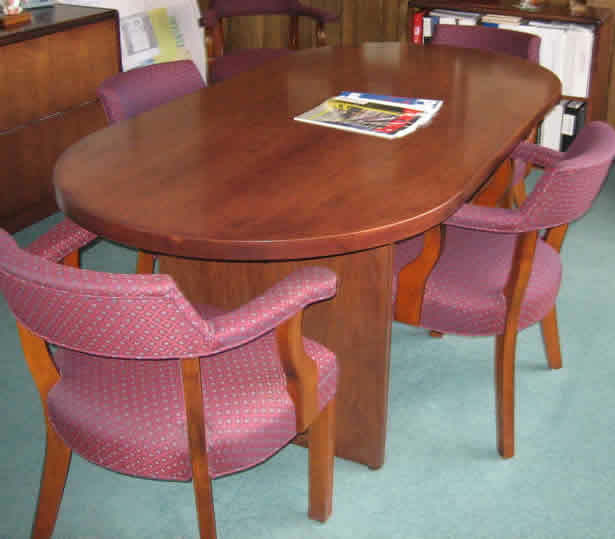 Hon Conference Table, wood veneer-walnut, racetrack style, 6' x 3', Like new! Returned as a customer error. If new, would sell for $975.00. Note: does NOT include chairs. This is a different angle of the pre-owned computer table. 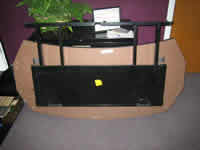 See more Clearance Center furntiture. Send questions or comments about this web site to webmaster@businessection.com.